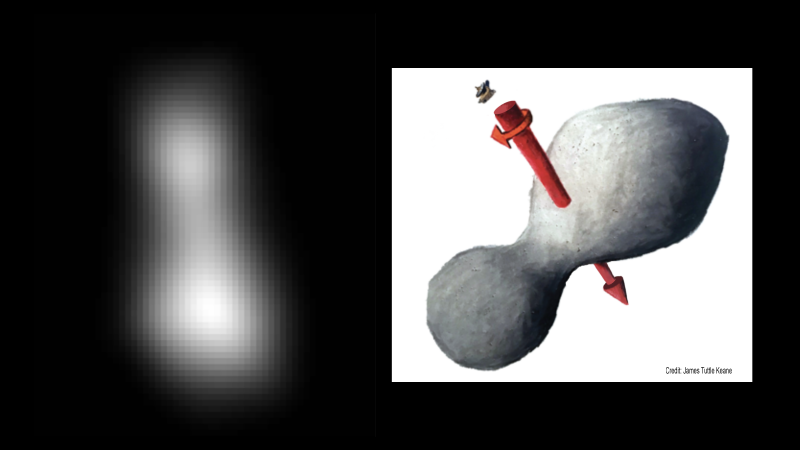 Ultima Thule, the nickname of the Kuiper belt object and farthest object ever explored, is actually two different objects. 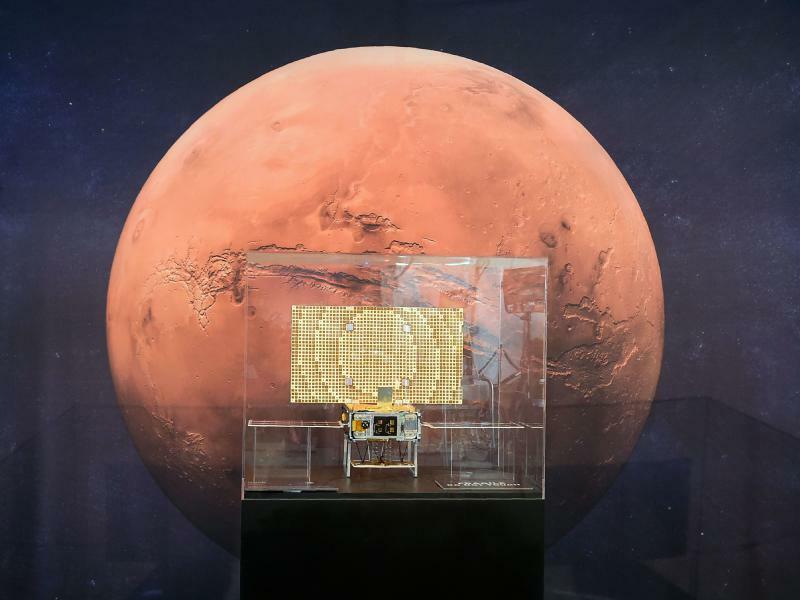 The announcement came Wednesday from the Johns Hopkins Applied Physics Laboratory in Laurel, Maryland, and was streamed via NASA TV. New Horizons spacecraft scientists presented the first detailed images of the minor planet, since the historic New Year’s Eve flyby. “It’s two completely separate objects that are joined together,” said Alan Stern, principal investigator and Southwest Research Institute scientist, adding it was the first time such an object had ever been explored by spacecraft. It is a contact binary: two small ball-shaped rocks touching one another as they spin like a propeller in space. Images prior to Wednesday showed an image like a bowling pin. Now, the updated image reveals an object more akin to a snowman. Ultima refers to the larger lobe, which is three times the size of Thule, the smaller lobe. The release comes a day after mission scientists released a pixelated photo taken prior to the flyby about 500,000 km from the object, which is farther than the distance from the moon to Earth. Scientists estimated Wednesday’s image was taken at 27,000 km. The photos are the first in the 20-month process to download all the data from the spacecraft’s flyby, which is 4 billion miles away. Stern said much of the data will improve as they receive better images. “As we get closer and closer to the target the sun illumination will change,” said Jeff Moore, from NASA’s Ames center. More information continues to be downloaded, including topography, atmosphere, and composition of Ultima Thule. “We have far less than 1 percent of the data stored aboard the solid state recorders on New Horizons already down on the ground,” Stern said. Other than Pluto, which New Horizons explored in 2015, it is the first object in the Kuiper belt — a far-flung ring of primordial comets and minor planets past Neptune — scientists have explored. It is also the first planet “building block” from that space region. “This is fundamentally important because it’s our first look at a real Kuiper belt object — in this case, a planetesimal — the thing that these small planets were built out of,” Stern said. Ultima and Thule date back to the formation of the solar system, said scientists, predicting an age of 4.5 billion years. "This is exactly what we need to move the modeling work on planetary formation forward because we are seeing the evidence right here for creating objects and then having them combine," said Cathy Olkin, Southwest Research Institute scientist. Until now, scientists have been unable to determine exactly what makes up these primordial Kuiper belt objects. With instruments like the infrared mapping spectrometer, scientists will be able to tell as early as Wednesday what the ice making up the surface of Ultima contains. New Horizons was launched in 2006 and conducted the historic flyby of Pluto in 2015. 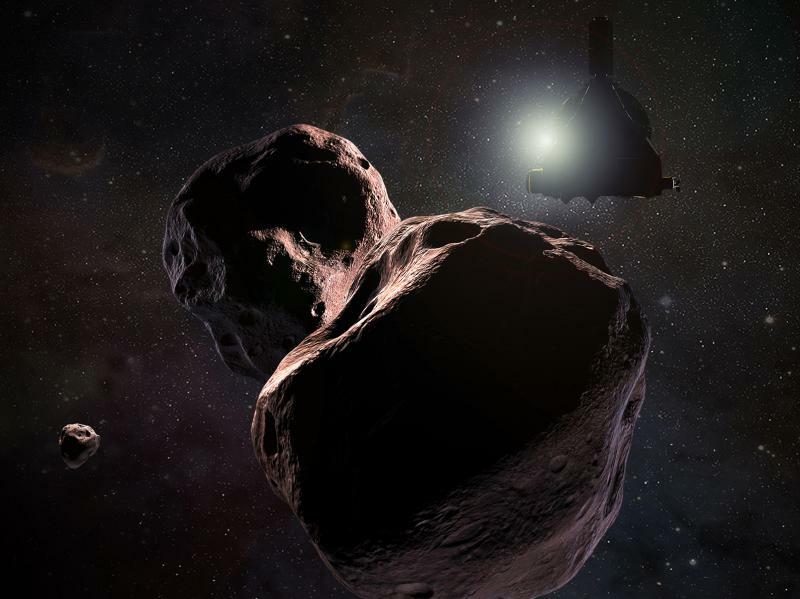 Scientists will give Ultima Thule its official name “sometime this year,” according to Stern, who thinks right now the nickname, which is Latin for “beyond the known world” fits. 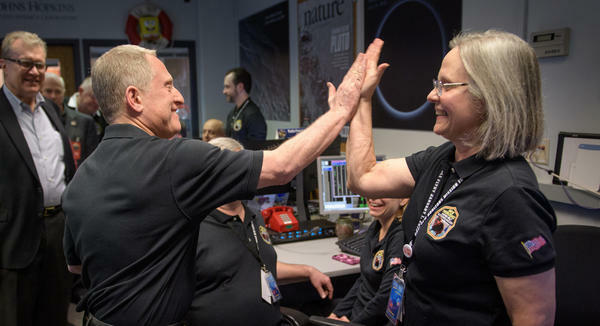 The mission will continue traveling through the Kuiper belt into 2020 and mission scientists will submit proposals for other flybys sometime the summer of that year, said Stern. 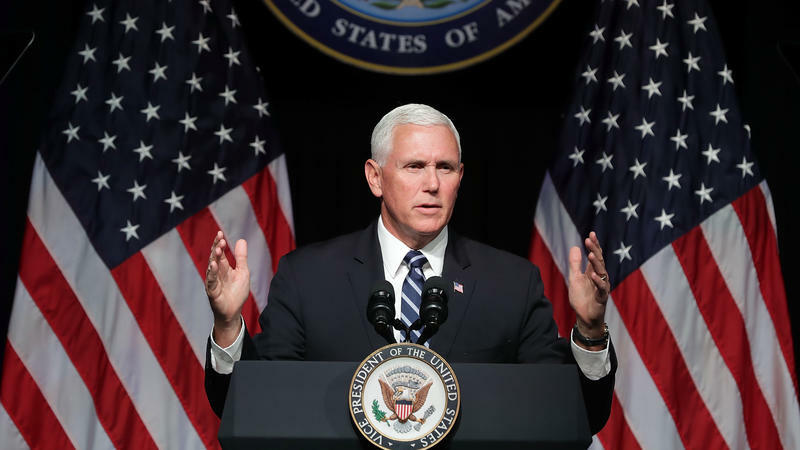 “It is likely the the end of next year or the beginning of 2021 before we receive that approval, and then we start a search for the target,” he said. Regardless, New Horizons is fully operational according to scientists and will continue traveling through the Kuiper Belt as it travels out for almost another 10 years. A six-person team at Texas Woman's University in Denton designed a special type of shirt that targets lower back pain in astronauts. The students created the garment for NASA's Design Challenge Showcase, a competition that pushes students to solve issues related to space travel. One year shy of the 50th moon landing anniversary, young space enthusiasts pack Dallas' Frontiers of Flight Museum. CEO Cheryl Sutterfield-Jones says this place will see three to four times the normal Saturday turnout. NASA tried a communications experiment with its latest mission to Mars, and it turned out spectacularly well. On Nov. 26, as the probe known as InSight plummeted through the Martian atmosphere on its way to the planet's surface, two miniature spacecraft — known collectively as MarCO — relayed telemetry from InSight to Earth, assuring all those watching that the landing of the probe was proceeding successfully and was soft.